When the temperature drops, navigate town comfortably with these PrimaLoft ThermoBall insulated booties that are crafted with water-resistant materials to shed snow. The North Face is not just a brand but also an entire lifestyle. A brand and lifestyle that will push your personal limits with peak performing apparel, footwear, accessories and sports gear for men, women and children. In our store you may shop fora wide selection of The North Face Footwear including Gore-Tex hiking shoes, boots and sneakers to wear when discovering untold terrains and discovering new adventures. Here you will find The North Face ultra endurance trail running sneakers in every size and color, camping shoes to sit by the fire and enjoy the nature around you, sandals to keep your feet cool in the warmer months and gore-tex hiking boots in may styles and colors to choose from. We have an a full collection of The North Face footwear in all sizes, widths and colors for men, women and children. / Buy with confidence! 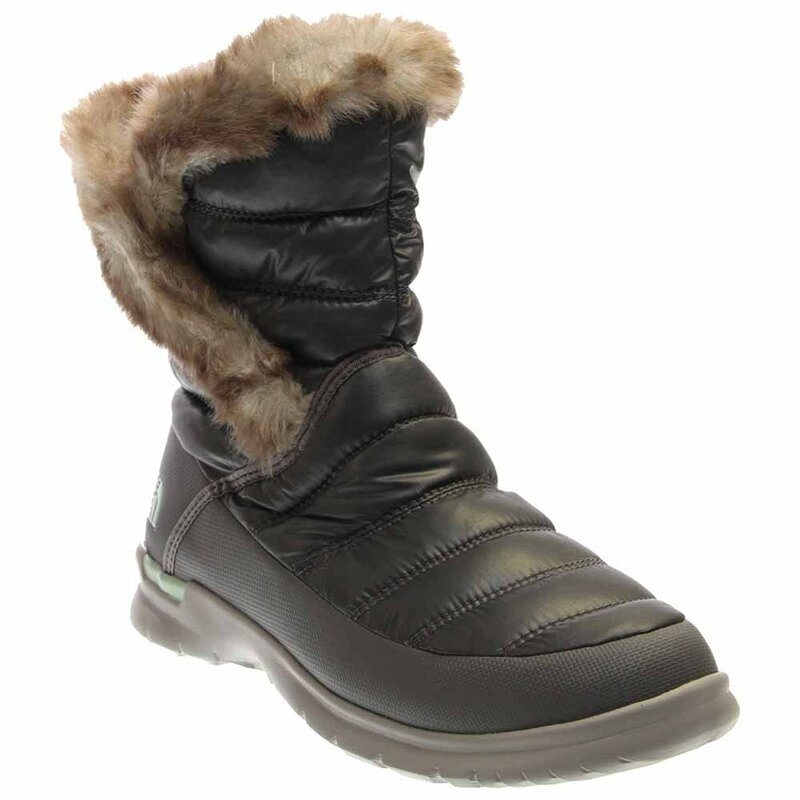 The North Face Womens footwear would make a great addition to your shoe collection!